More pontificating on the matter of who should or shouldn't be resuscitated, and more importantly who makes the decision. Frankly, and I'm thinking my opinion will verge on the wrong side of 'PC', it seems like a big ol' storm in a teacup to me. But the public do worry a great deal about it. Fair enough, I guess. There seems to be an over-riding fear that one will go into hospital, and be written off as a no-hoper by a wet behind the ears junior staff member, possibly just so they don't have to get up in the middle of the night and jump up and down on you. Not any more. God forbid we give our junior staff any responsibility. Or assume that they have any nous at all, after six years of medical training. Fine. Good. Why shouldn't they? It has been my experience that people who shouldn't be making important clinical decisions generally don't want to. I guess times are always changing, but one of the bigger differences between the way doctors and nurses function, in this country at least, seems to be the level of inter-professional support. While medics are only too happy to moan about each other, often to each other's faces, or behind their backs, if necessary, we usually back each others decisions to the public. Nurses, on the other hand seem to distrust each other, and rarely seem to stand together; on anything. So I always felt, even as a junior Shroom, that when I made decisions by myself, they would be supported by the rest of the Firm, provided I had a robust justification for them. Nursing staff seem to have a morbid fear of overstepping their boundaries. This seems to be crystallised in the current climate of rigid adherence to protocol. This is not a criticism, but suggests to me that many nurses would rather not make a resus decision, unless there were strict guidelines about how to do so. Not because they aren't capable of making a well informed reasoned decision, but because if it became controversial, their colleagues would hang them out to dry. 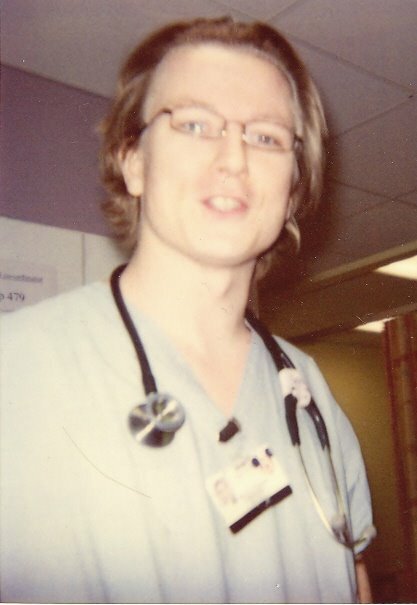 From day one on the floor, I was making life or death decisions for the patients in my care, especially decisions about resus status, and frequently late at night, on my own, without consulting anyone. Should I have been? I suspect most people would now say not. But that was the way things were; and I like to think I made appropriate decisions - most of the time. Where it turned out my Boss differed, in the cold light of day, his reasoning was calmly explained, and the decision reversed. And I learned a bit more about how these decisions were to be made in the future. I'm still not entirely sure where i stand on this. I certainly wouldn't want to be making DNR decisions! I think that's fine. People who don't wanna shouldn't have to. But why shouldn't nurses? Don't they know their patients?